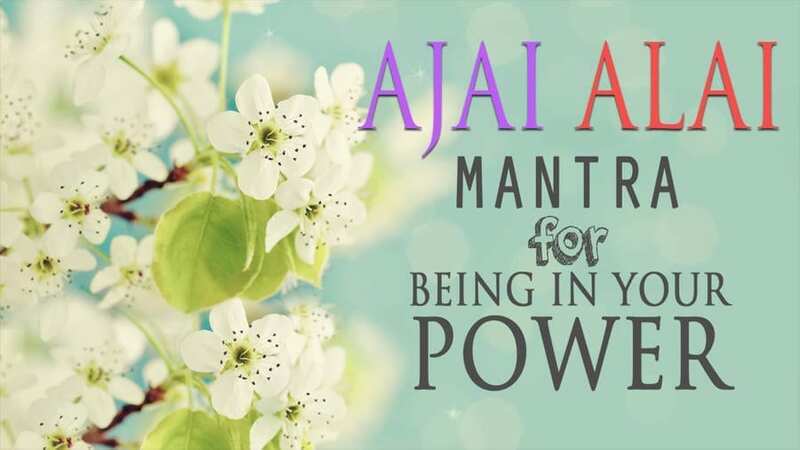 Ajai Alai is a magnificent mantra from Jaap Sahib, accepted by all religions, a hymn in praise of the Creator who is Metaphysical, Eternal, Unborn, Uncreated, Self –Existent, and without form, feature and colour . It was written by the Warrior Saint Guru Gobind Singh in Gurmukhi. He sang it in tremendous gratitude to the Divine and taught about self-worth and grace. The Naad of Mantra arouses the soul and self being. When you are endangered or feeling weak, the mantra uplifts the soul and brings grace and greatness. It will also give you the ability and power that whatever you say must happen. Alakh Abhakh – Unseen, Unaffected. Agaah Ataah – Unfathomable, Incorruptible. Anaathae Pramaathae – Unmastered, Destroyer. Aganjae Alaykhae – Unconquerable, Indescribable. 1. It soothes the heart and overcomes all obstacles. 2. It adds radiance to your body and activates your higher chakras. 3. It brings you out of depression and anger. 4. Gives strength to face all challenge of life. 5. Gives power of intuition and great will power. 6. Brings the chanter into alignment with qualities of the Divine. 7. Overcomes any obstacles/hindrances and gives strength. 8. Being very soothing gives power to connect with the Creator and also gives unlimited power, peace and prosperity. 9. As the chanter connects with the Creator he feels very positive and light. 10. It purifies subconscious and pulls one out of despair and grief. 11. With the healing vibrations of mantra one feels healthy. 12. Mantra helps to move through difficult situations. 13. It brings grace and greatness. This mantra is accepted by all religions which helped so many people, has lifted them out of fear, attachment, depression, anger, grief, pain and from difficult situations.